KATHMANDU, Jan 18: Amid deteriorating health condition, Dr Govinda KC was brought to Kathmandu from Ilam at around 11 PM yesterday night. Dr KC was brought to Kathmandu in an army's helicopter, Shrawan Kumar Timsina, chief district officer of Ilam said. A team from BP Koirala Health Science Academy, Dharan who had arrived in Ilam to assess Dr KC's health condition said the speed of health deterioration was concerning and recommended Dr KC's treatment in an intensive care unit. 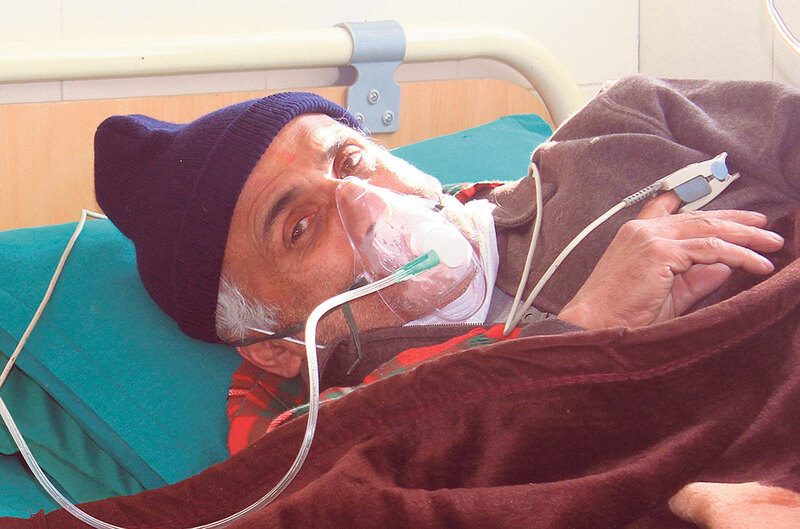 As a result, Dr KC was taken to Kathmandu. Dr KC is on his 16th fast-unto-death hunger strike. On Monday, Dr KC was admitted to Ilam Hospital. Yesterday, four former government officials had arrived in Ilam to express solidarity with Dr KC's demands. Meanwhile, the 'Solidarity for Dr KC Alliance' has prepared to hit the streets of Kathmandu on Saturday in support of Dr Govinda KC. The rally will start from Maitighar at 12 noon and will move toward New Baneshwar, according to the organizers. “The rally being staged in support of Dr KC will finally converge into a street gathering at New Baneshwar,” said Dr Jivan Kshetry, coordinator of the Solidarity for Dr KC Alliance. “Thousands of people from all walks of life including health workers, civil society members and ordinary citizens will take part in the rally,” said Dr Kshetry. Dr KC's health condition is deteriorating day by day even as the government and parliament continue to ignore his demands. In a nine-point deal signed on July 26, 2018, the government had agreed to address all demands of Dr KC. Dr KC has already staged hunger strikes for around 200 days since 2012, demanding reforms in the medical sector. According to the nine-point agreement signed with Dr KC on July 26, the government should have addressed all the demands of Dr KC by September 25. However, the government is yet to honestly implement the agreement signed with Dr KC. However, paving the way for the establishment of B & C Medical College owned by Durga Prasai and Manmohan Medical College owned by Rajendra Pandey, the Education and Health Committee of parliament approved the National Medical Education Bill on January 9 against the agreement reached with Dr KC. Three major demands of Dr KC that were included in the nine-point agreement have been ignored in the approved bill. These demands are including the Mathema report in the preamble of the bill, mentioning deadline to phase out CTEVT intermediate levels of medical education, and opening a new medical university. Demanding the implementation of the agreement signed between the government and Dr KC, lawmakers from the opposition Nepali Congress party have been supporting Dr KC in parliament, too. The government of "communist and socialist parties" has been widely criticized for showing interest in private investment in health and education sectors. It is reported that CPN Chairman and former prime minister Pushpa Kamal Dahal has a huge share in the proposed Jhapa-based B & C Medical College while leaders and cadres of former CPN-UML are the shareholders of the proposed Kathmandu-based Manmohan Medical College.